Katie Shouvlin believes that her energy, enthusiasm, and positive attitude are as important to building community as they are to reaching a fundraising goal. 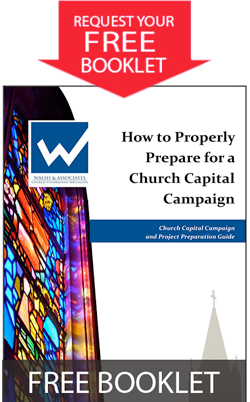 She has experience in marketing, budgets, and a strong understanding of the far reaching positive impact of a successful church capital campaign. Experience gained from following her mother’s career as the CFO of the Catholic Diocese of St. Augustine. Joining Walsh in 2014 from a marketing background, Katie serves our clients especially well in marketing fundraising efforts to build support, volunteer organization, and interpersonal relationships. 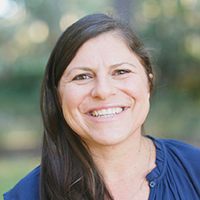 Katie attended 13 years of parochial school in Orlando, Florida and graduated with a BA in Integrated Marketing Communications from Winthrop University in Rock Hill, South Carolina. She participates in many community activities, including Race for the Cure, a traveling production of the Stations of the Cross, animal shelter adoption, and is a homeowner’s association officer. She lives in Winter Park, Florida with her husband and two sons. 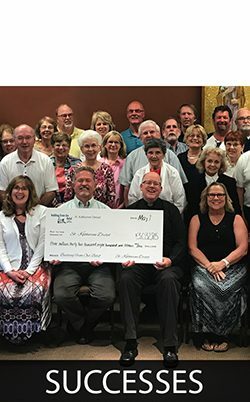 They are members of St. Margaret Mary Catholic Church.